Boost the exposure of your products on the web by using the fastest growing search engine, Google. This is done by placing highly visible ads related to the product category being searched in the Google search results page. This creates an easy route for purchase. 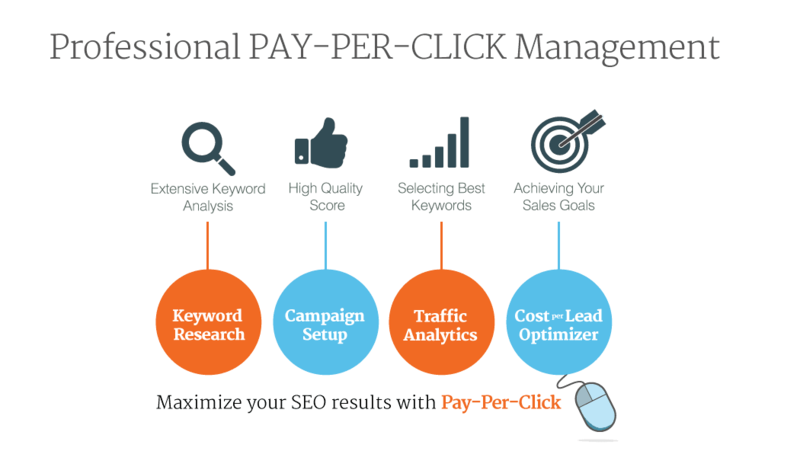 It is often difficult to choose a pay per click ad that serves as the best solution for your website. Employing the right strategy to attract customers to your site is very crucial. Google Shopping Management helps to employ these strategies for your customers. It uses both Google Shopping and Google AdWords search and display ads to draw more traffic and conversions to your site. Google AdWords is mainly used to display ads on top of the Google search results. More control over advertisement messaging, sales, branding, etc can be obtained by Google AdWords management. Google AdWords ads are better for branding and promotions. Product Listing Ads (PLA) or Google Shopping increases your chances of locating prospective customers who visit with intent to purchase. All PPC campaigns should optimize Product listing ads better known as Google PLA management. PLAs maximize your chances of locating consumers who are about to purchase. They place Google search results page with highly visible ads related to the product category being searched. Google Shopping allows you to set a desired cost per click in order to display your product listing ads at the top of Google’s search results. This moderates your bids for individual products, product groups, categories, and your daily budget. Google PLA management largely depends on the feed you input about the products and the queries for which they will be displayed. The feed to be uploaded should be optimized and formatted so that they have the best chances of being displayed for the right queries. It is also important to include other areas of information like review stars, prices etc. Google Shopping serves best for sites with a lot of products. This, in turn, will help to have one ad for each product and also the product details page. Setting up AdWords then is complicated and time-consuming. Google Shopping ads lead to much higher click-through rates. There is an increase in traffic and revenue. They are also less expensive per click. Google AdWords, PPC ads are meant for Lead generation, branding, messaging, and brand promotions. In case you have decided to use Google Shopping PLA’s, then ensure the quality of your product feed. It is very important that the feed should be free of errors. Make sure your images are unique and high quality. Google AdWords text ad campaign is not needed for Google shopping. It is important to create accounts for Google Merchant Center and Google AdWords. A shopping Ad campaign gives the users detailed information about your product before they even click your ad. In order to have a successful and display, it is very important to maintain Product data quality and feeds. Shopping Ad campaigns should be optimized for different brands. A lot of preparation is required for bigger events and promotion campaigns. At large, shopping ads are prepared to promote your brand and increase traffic to your website to provide better leads. This also enables you to promote on multiple devices. Professional Google shopping management agencies offer shopping management services that provide better visibility and strategies leading to good leads and profitability. Good ad campaigns can help create effective ads to be placed wherever your customers can see what you are selling. Shopping management services engage the customers with a photo of your product, the price etc. This impacts them even before they click the ad thus increasing leads. You won’t be just showing them a text but also a picture with a lot of details so they can make a positive purchase decision.